Some detective pairings seem to last forever, with Sherlock Holmes and Dr. John Watson probably the best example. A new TV series, "Elementary", airing on CBS on Sept. 27, pairs British actor Jonny Lee Miller as Holmes and Lucy Liu as Dr. JOAN Watson. It has a contemporary setting in New York City. Sherlock Holmes can survive just about any kind of adaptation, and I look forward to seeing these two talented performers -- along with Aidan Quinn, another favorite actor of mine, playing an NYPD detective. I've only watched a few of the "Rizzoli & Isles" shows on TNT, but I don't think the series has anywhere near the longevity of Holmes and Watson. And -- after reading Tess Gerritsen's latest Rizzoli & Isles novel "Last to Die" (Ballantine Books, 352 pages, $27.00) -- I think Jane Rizzoli and Maura Isles may be better off going their separate ways. I wouldn't blame them, given the PTSD-inducing circumstances of their work as a detective (Rizzoli) and medical examiner (Isles). In "Last to Die" someone or some organization obviously wants Teddy Clock, Will Yablonski and Claire Ward dead. For the second time in his young life, Teddy has survived a massacre. Two years ago, he barely escaped when his entire family was slaughtered. Now, at fourteen, in a hideous echo of the past, Teddy is the lone survivor of his foster family’s mass murder. The traumatized teenager has nowhere to turn — until the Boston PD puts detective Jane Rizzoli on the case. Jane takes Teddy to the exclusive Evensong boarding school, once the estate of a robber baron in rural Maine and now a sanctuary where young victims of violent crime learn the secrets and skills of survival in a dangerous world. But even behind locked gates, and surrounded by acres of sheltering Maine wilderness, Jane fears that Evensong’s mysterious benefactors aren’t the only ones watching. Things get more complicated when Jane and Maura discover a connection between Evensong and the Mephisto Club, explored in Gerritsen's "The Mephisto Club". When Jane meets Will Yablonski and Claire Ward, Evensong students whose tragic pasts bear a startling resemblance to Teddy’s, it becomes obvious that Teddy isn't the sole target. Jane and Maura are determined to keep these three orphans safe from harm. Gerritsen weaves in personal details from the lives of Jane and Maura, but they seem strained. 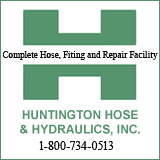 I think it's time for the partnership -- however productive it may have been in the past -- to be dissolved. Tess Gerritsen is a physician and an internationally bestselling author. She gained nationwide acclaim for her first novel of suspense, the New York Times bestseller "Harvest". She is also the author of the bestsellers "The Silent Girl", "Ice Cold", "The Keepsake", "The Bone Garden", "The Mephisto Club", "Vanish", "Body Double", "The Sinner", "The Apprentice", "The Surgeon", "Life Support", "Bloodstream", and "Gravity". Gerritsen lives in Maine. 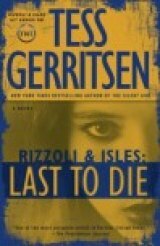 Her website: www.tessgerritsen.com.